ABSTRACT: Charles Oatley stands with Manfred von Ardenne as one of the two great pioneers of scanning electron microscopy. 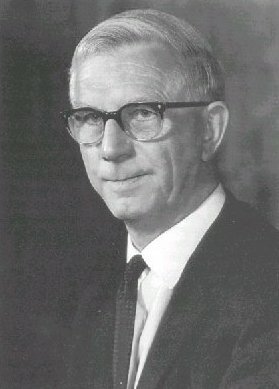 His involvement with the SEM began immediately after World War II when, fresh from his wartime experience in the development of radar, he perceived that new techniques could be brought to bear which would overcome some of the fundamental problems encountered by von Ardenne in his pre-war research on the instrument. Oatley's pioneering work led directly to the launch of the world's first series production instrument - the Stereoscan - in 1965. The development of the SEM will forever be linked with the names of Manfred von Ardenne and Charles Oatley; but the manner of their contributions and the outcome of their work could not have been in more marked contrast. Although in 1935 M Knoll produced the first scanned image of a surface, it was von Ardenne who, in a relatively short burst of inspired activity just prior to World War II, laid the foundations of both transmission and surface scanning electron microscopy. His papers published in 1938 and chapters on the SEM in his book 'Elektronen-Übermikroskopie', published during the war (von Ardenne 1940), are the definitive works on the subject (McMullan 1988, 1995). His involvement with the electron microscope, however, came to an abrupt end when all his apparatus was destroyed in an air raid in 1944. After the war, circumstances dictated that he moved into other fields of scientific endeavour, and he played no further part in the development of the SEM. It was left to other research groups, as he wrote later, "to take up the baton once more" (von Ardenne 1985). It was Charles Oatley who took up the baton in Cambridge in 1947, but in contrast to von Ardenne's relatively brief encounter with the subject, he spent the better part of two decades before reaching a successful conclusion with the world-wide acceptance of the SEM as one of the most powerful and productive methods of microscopy yet invented. In order to appreciate how Oatley arrived at a position which uniquely qualified him to take up von Ardenne's 'baton', we have to look at the events which took him to Cambridge immediately after the war. Charles Oatley was born in Frome, Somerset in 1904, coincidentally, the year that mains electrical power was brought to the town. His father, William, was the enterprising owner of a flourishing bakery business, and he installed electrical power in his bakery immediately it became available. Although lacking any formal scientific education William Oatley was intensely interested in scientific matters and passed this enthusiasm on to his son. He gave Charles an electric motor on his sixth birthday - not a common toy in 1910 - and he possessed a fine Watson Royal microscope which he taught his son to use. Thus, Charles' natural scientific bent was nurtured from the earliest years. Up to the age of 12 Charles attended a local council school, and then proceeded to Bedford Modern School as a boarder where he excelled in scientific subjects. From there he won exhibitions to St. John's College, Cambridge, to read Natural Sciences, entering the University in 1922. At St. John's his supervisor was E V Appleton. A contemporary was J D Cockcroft whom he got to know quite well, although Cockcroft was 7 years older and reading for the Part II Mathematics Tripos. These two were to have a profound influence on Oatley's career. His first two years at Cambridge went well: a half-blue for swimming and a first in Part I of the Tripos. His third year began equally well; he was appointed captain of the University Swimming Team, and he had a successful interview with Rutherford who agreed to take him on to do research in nuclear physics, but things did not go according to plan. Appleton had left to take a chair at King's College, London, and his supervision and guidance was greatly missed by Oatley. For whatever reason, the expected First Class in Part II (Physics) failed to materialise, and with it went the chance of gaining a research grant to work with Rutherford. With Appleton's advice and encouragement, Oatley obtained a job with Radio Accessories, a small company in Willesden manufacturing radio valves; here he gained valuable experience of manufacturing techniques and, as the only graduate in the company, was called upon to tackle a wide variety of physical problems. After two years, however, the company, no longer able to compete with the large valve manufacturers, went into liquidation. It was then, in 1927, that he was invited to return to academic life by Appleton, who offered him a Demonstratorship in the Physics Department at King's College, London. The next 12 years at King's were spent largely teaching and examining, with little time for research, but he produced some useful papers on a variety of subjects, some of which are listed in the references (Oatley 1931, 1936a, 1936b, 1939). He also became an acknowledged expert in the field of radio receivers; his Methuen monograph, 'Wireless Receivers', published in 1932, was read widely by enthusiasts at the time. In the summer of 1939, by which time he held a Lectureship at King's, Oatley received a letter from Cockcroft, acting on behalf of the Air Ministry, inviting him to join a small party of university physicists to learn how they might be of help in the event of war. In the following weeks members of Cockcroft's party were initiated into the secret work on radar being carried out under the direction of R A Watson-Watt, and were briefed on the Chain Home stations then under construction around the east and south coasts of Britain. That winter, after war had been declared on 3rd September, found Oatley back at the Cavendish Laboratory in the old High Voltage Laboratory engaged in modifying Pye TV receivers for use in Coastal Defence (CD) radar sets, and constructing various pieces of test apparatus. A little later radar development was moved to the newly-formed establishment at Christchurch, later to become known as the Air Defence Research and Development Establishment (ADRDE), of which Cockcroft became Superintendent in 1941. Oatley's first task at ADRDE was to investigate ways of improving the receivers used in the CD sets which operated at the then relatively high frequency of 200 MHz. The detection of weak radar echoes depended crucially on the noise performance of the first stage of amplification in the receivers. No commercial test equipment was available at this frequency, so he set about building a signal generator which incorporated for the first time a piston attenuator, a technique which he later extended to centimetric wavelengths. With this apparatus he was able to compare, quantitatively, the noise performance of the various types of valves available for the critical input stage of the receiver. The tests produced spectacular results, showing that one of the new valves produced by GEC specifically for this purpose was virtually useless. Thus, the importance of accurate quantitative testing of all components and equipment produced in the Establishment became generally recognised and led to the formation of Oatley's 'Basic Group' which served the whole of the Establishment throughout the war. As the work of ADRDE grew, the need for improved liaison with other radar establishments and with the industrial groups designing and supplying equipment, became increasingly evident, and Oatley, with his extensive knowledge of the work being undertaken in all of the groups at ADRDE, became heavily involved in most of the committees that were formed to further co-operation. The importance of this work, and the recognition of his considerable administrative abilities, led to his appointment as Deputy to Cockcroft, and later when Cockcroft moved to take charge of the Canadian Chalk River Nuclear Project, Oatley became Acting Superintendent. In effect, he was in sole charge of the organisation which by 1943 had moved to Malvern and numbered about 4000 personnel. By the end of the war in 1945 he possessed an unrivalled knowledge of the work being undertaken in radar and electronics, both in the government establishments and in industry, he was familiar with much of this work at a detailed technical level, and he knew all the key people involved; all of which would stand him in good stead for the next phase of his career. He was offered the post of Superintendent at the Establishment, but his heart lay in university life: a Cambridge Lectureship and Fellowship at Trinity College proved to be the far greater attraction. Fig. 1. Sir Charles Oatley with former research students and colleagues at a symposium held in his honour on the occasion of his 90th birthday. Standing (left to right): A N Broers; W C Nixon; R F W Pease; T E Everhart; D McMullan; K C A Smith; O C Wells; C W B Grigson; A D G Stewart; P Chang; H Ahmed. Of equal importance to Oatley was that the topic appeared to offer the ideal avenue through which to exploit his strong background in electron physics and to stretch the minds of his future research students: "A project for a Ph.D. student must provide him with good training and, if he is doing experimental work, there is much to be said for choosing a problem which involves the construction or modification of some fairly complicated apparatus. I have always felt that university research in engineering should be adventurous and should not mind tackling speculative projects" (Oatley 1982). He decided, against the advice of many experts in the field who declared it to be a complete waste of time, that the SEM should be included in the topics undertaken by his research students.